A masterful commentary on the history of science from the Greeks to modern times, by Nobel Prize-winning physicist Steven Weinberg—a thought-provoking and important book by one of the most distinguished scientists and intellectuals of our time. 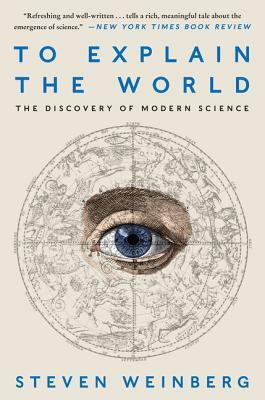 An illuminating exploration of the way we consider and analyze the world around us, To Explain the World is a sweeping, ambitious account of how difficult it was to discover the goals and methods of modern science, and the impact of this discovery on human knowledge and development. Steven Weinberg is a theoretical physicist and the winner of the Nobel Prize in Physics, the National Medal of Science, the Lewis Thomas Prize for the Scientist as Poet, and numerous honorary degrees and other awards. He is a member of the National Academy of Science, the Royal Society of London, the American Philosophical Society, and other academies. A longtime contributor to the New York Review of Books, he is also the author of The First Three Minutes, Dreams of a Final Theory, Facing Up, and Lake Views, as well as leading treatises on theoretical physics. He holds the Josey Regental Chair in Science at the University of Texas at Austin. “With his usual scholarly aplomb, Weinberg leads readers on a tour of early scientific theory, from the ancient Greeks to the Scientific Revolution of the 17th century. . . . Accessible and smoothly written, Weinberg’s book offers new insights on what has become familiar territory for pop-science readers.